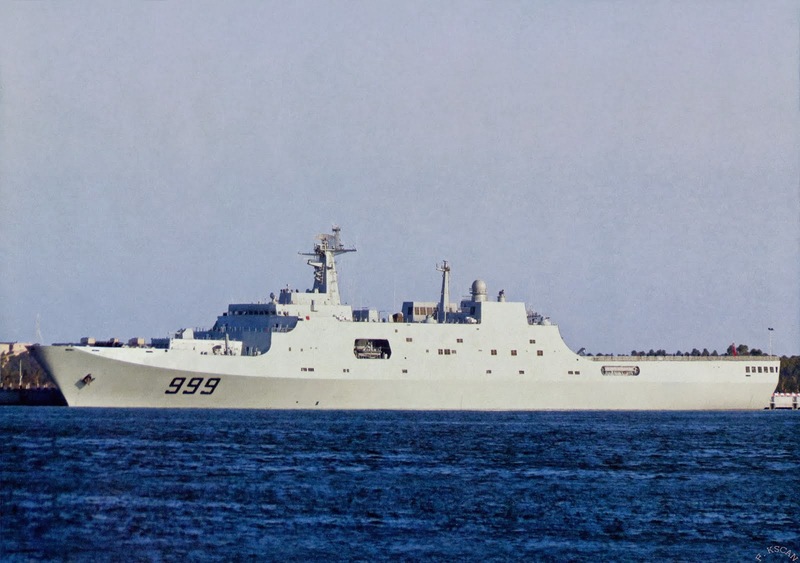 ZHANJIANG, March 9 (Xinhua) -- Two warships of the Chinese navy, "Jinggangshan" and "Mianyang", are on their way to sea area where missing Malaysia Airline flight MH 370 may have crashed, navy sources said. The vessel "Jinggangshan", loaded with life-saving equipments, underwater detection facilities and supplies of water and food, set out from Zhanjiang city of south China's Guangdong Province at about 3:00 a.m. on Sunday for search and rescue mission. Two helicopters, 30 medical personnel, ten divers and 52 marines are also on board. Another Chinese navy vessel "Mianyang" left for the possible crash site on Saturday night. A Boeing 777-200 aircraft operated by Malaysia Airlines left the Kuala Lumpur International Airport at 00:41 a.m. Beijing time on Saturday and was expected to land in Beijing at 6:30 a.m., after a 3,700-km trip. The flight has 227 passengers, including 154 Chinese, and 12 Malaysian flight crew. Photos of the day: J-7II (F-7B) or Mig21F-13 ?